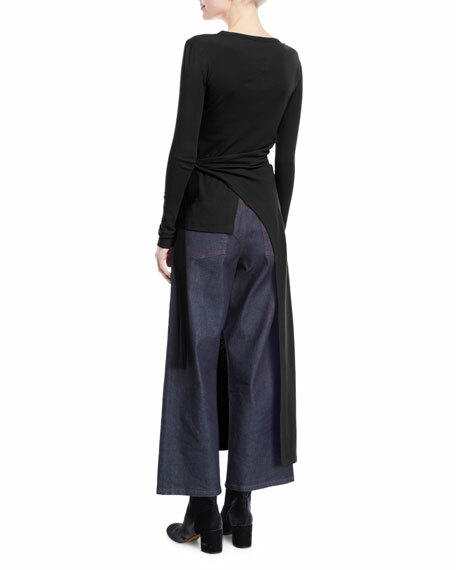 Rosetta Getty split apron tee with side tie detail. 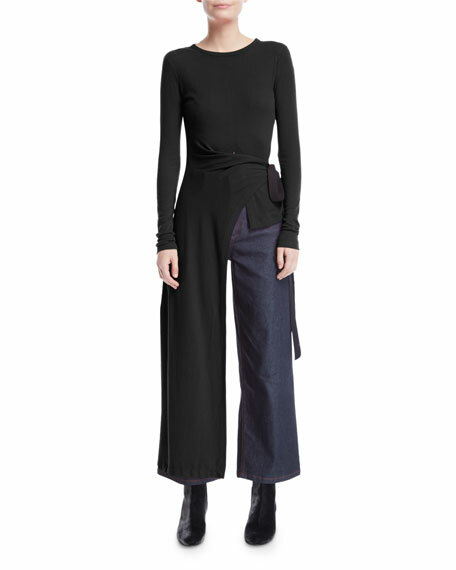 Founder Rosetta Getty returns to fashion design with her highly acclaimed eponymous label. With a discerning sense for the modern, Getty creates versatile silhouettes that allow the wearer to interpret each garment in her own individual way. Although she presents her collections on the fashion calendar, her clothes are decidedly timeless foundation pieces for her clients' highly curated wardrobes. For in-store inquiries, use sku #2412415.